Durhan Studios has designed, executed, and installed stained glass windows in NY, NJ and CT plus up and down the East Coast from Puerto Rico to Canada. We are headquartered outside of New York City on Long Island NY. 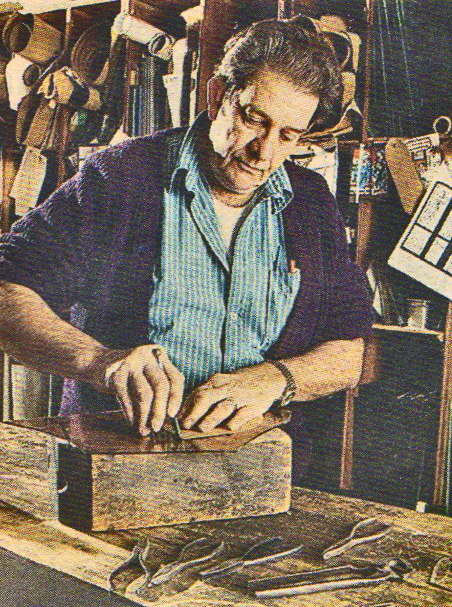 Paul Coulaz Master Craftsman and owner of Durhan Studios, has been with the company for over 60 years, directly supervising each project. Paul is highly regarded among stained glass professionals for his outstanding ability to select glass colors that coordinate well with each other in a window and with the setting in which the window is installed. Paul has a unique ability to envision the final lighting effect of the window’s natural setting, so as to accurately assess the finished effect even at the earliest stage of color selection. Paul’s father worked in the Swiss tapestry guild and was an expert colorist and dyer of threads for the tapestry medium. Coming to America from Europe, he met Paul’s mother who was a tapestry weaver. Their talents have passed on to three more generations. Michael Coulaz Paul’s son, is himself a Master Craftsman, and has been supervising and crafting stained glass windows for over 30 years. Michael is an outstanding mechanic ensuring quality fabrication and construction, as well as being a gifted colorist and selector of glass. From the structural elements to the aesthetic appearance, Michael is able to accurately evaluate existing windows in need of repair or see to the execution of new work according to the design needs of the client. Steven Coulaz Michael’s son, carries on the family tradition of excellence in craftsmanship. 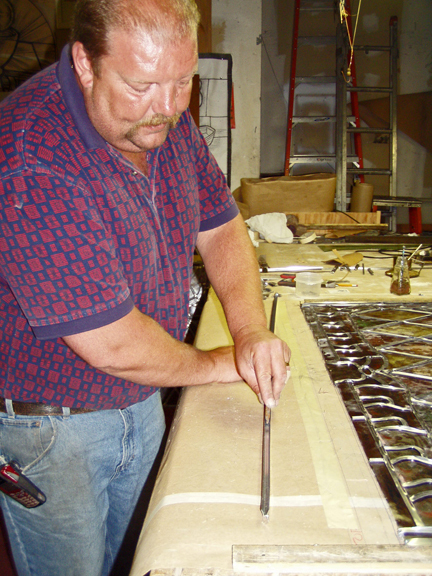 From the actual fabrication of leaded panels, their careful and secure installation, to custom woodwork for unique frames, Stephen’s work bears the mark of a long family crafting tradition. His work spans the duplication of existing wood moldings to match the originals, to creating new custom architectural applications. Architects have always found our staff to be at their service in respecting the integrity of their building, indentifying specific glazing needs early in the project, and keeping them informed of every detail of our work. Our commissions include the restoration of historic landmarks as well as the repair of every conceivable type of painted stained glass, regardless of age or style. Thorough technical knowledge and genuine concern for the preservation of the authenticity and quality of your existing windows enable you to trust your repairs and restoration work to Durhan Studios with the greatest confidence. 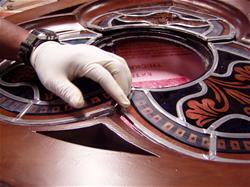 This also includes the protection of stained glass windows from damage by weather or vandalism. Over the years many architects have enjoyed a professionally supportive relationship here at Durhan Studios. Pastors and Church or Synagogue Council members seeking advice and assistance in the beautification of their worship space, have found a wealth of technical assistance and liturgical inspiration here at Durhan Studios. We specialize in helping you to visualize your hopes for your community, and to make presentations in which members and donors can see what is possible in your building. 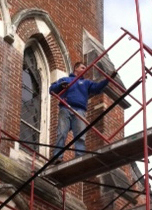 Pastors and Council members often approach us about problems of damage or vandalism to existing windows. We readily offer expertise in the evaluation of and estimate for repair or restoration to existing windows. Clients have always found us able to provide an honest evaluation for only the work which needs to be done, without unnecessary repair and cost to the organization. Denominational Supervisors in organizations of linked parishes or churches have a long history of recommending Durhan Studios to their member churches. In our long history we have worked in many hundreds of churches, especially in the New York City metropolitan area and Long Island. Private Business, Oranizational, or Residential Owners often come to Durhan Studios because they have leaded windows already and they wish to replace, repair, or alter them in some way. Often people approach us for special domestic commissions on a particular theme of interest to them, or they look to us for inspiration in residential design. Our antique catalogue of Durhan’s designs from the last century often provides these clients with just the image they are seeking. Sometimes these windows are for special memorials in a school, university, or cemetery. We always provide a design which fulfills their particular needs.